The Chamber of Mines said that Eskom is sacrificing the interests of the country for commercial gains. At the release of Eskom’s 2017/2018 dismal financial results on Monday, chairperson Jabu Mabuza described the power utility as being at a "tipping point". Fin24 takes a look at the reasons behind the state-owned company (SOC’s) financial woes. 1. Eskom suffered a net loss of R2.3bn in 2018, compared with a R0.9bn profit the previous year. Allegations of financial mismanagement against senior officials and of other issues related to lapses in governance processes and other internal controls were the biggest contributors to the deterioration of confidence in Eskom by lenders which constrained the power utility’s access to funding, leading to a liquidity crunch, according to the new board appointed in January. 2. Eskom reported R19.6bn in irregular expenditure and this figure could still rise. The new board went as far back as 2012 to unearth contracts that did not adhere to the Public Finance Management Act (PFMA). The board expects phase two of the recovery programme to address the shortcomings identified in the audit qualification and this could result in further irregular expenditure reported in the 2019 annual financial statements due to transgressions from the past. 3. Eskom has only raised 22% to date of the R72bn borrowing requirement for 2018/19. CEO Phakamani Hadebe said that following recent governance interventions, lenders had expressed an appetite to extend Eskom credit. They will approach international bond markets, finance institutions and the New Development Bank (NDB), run by the Brics member states for funding. 4. Eskom received a qualified audit opinion for 2017/2018. The qualification arose because for the greater part of the year ended 31 March 2018, the group’s procurement procedures generally did not comply with the PFMA and some of the financial information could not be relied upon, according to the Directors Report. 5. Eskom will continue to face cash issues for the foreseeable future. This is mainly due to the high debt burden, low sales growth, high primary energy and employee benefit expenses as well as finance costs, according to the board. The long term strategy for the SOC could see major changes to its structure, including the number of employees - 48 000 currently, which has been described as oversized by the World Bank. 6. Municipal debt to Eskom is on the rise. Total municipal debt, including interest, increased from R9.4bn in 2017 to R13.6bn in 2018. 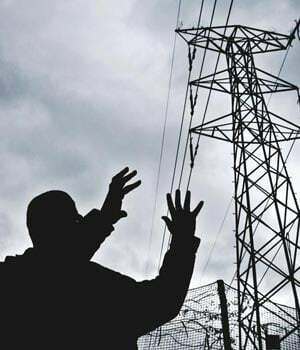 Admitting that collecting revenue from Soweto electricity users is a challenge, Eskom added that more than 47% of the arrear debt is owed by municipalities in the Free State. An inter-ministerial task team has been established to try resolve the historic debt issue. 7. Tariff increases placing a strain on Eskom. Eskom was granted a 5.2% tariff increase for 2018/2019 by the National Energy Regulator (Nersa), after applying for a 19.9% raise. The power utility says approximately 3.0% of the tariff increase has to cover the growth in Independent Power Producers' (IPP’s) expenditure, leaving only 2.2% to cover Eskom’s own operating expenses.